The content below is from wiki, Allen just wants more PCB people to know the real MCPCB knowledge. MCPCB (Metal Core PCB) is those boards which incorporate a base metal material as heat spreader as an integral part of the circuit board. The metal core usually consists of aluminum PCB alloy. 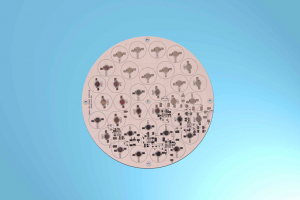 Furthermore MCPCB can take advantage of incorporating a dielectric polymer layer with high thermal conductivity for lower thermal resistance. This entry was posted in Blog and tagged MCPCB knowledge, MCPCB wiki, Metal Core PCB.